Product code: 720 Categories: Sold Items, Sold Jewellery. Aquamarines have such a wonderful blue colour, and this one is no exception. In the emerald cut, and measuring a very impressive 13.40 carats in size, it is surrounded by brilliant cut diamonds giving it that wonderful extra sparkle. The pendant measures 23mm in height (not including the top bail), so it is a piece of jewellery that will really stand out. 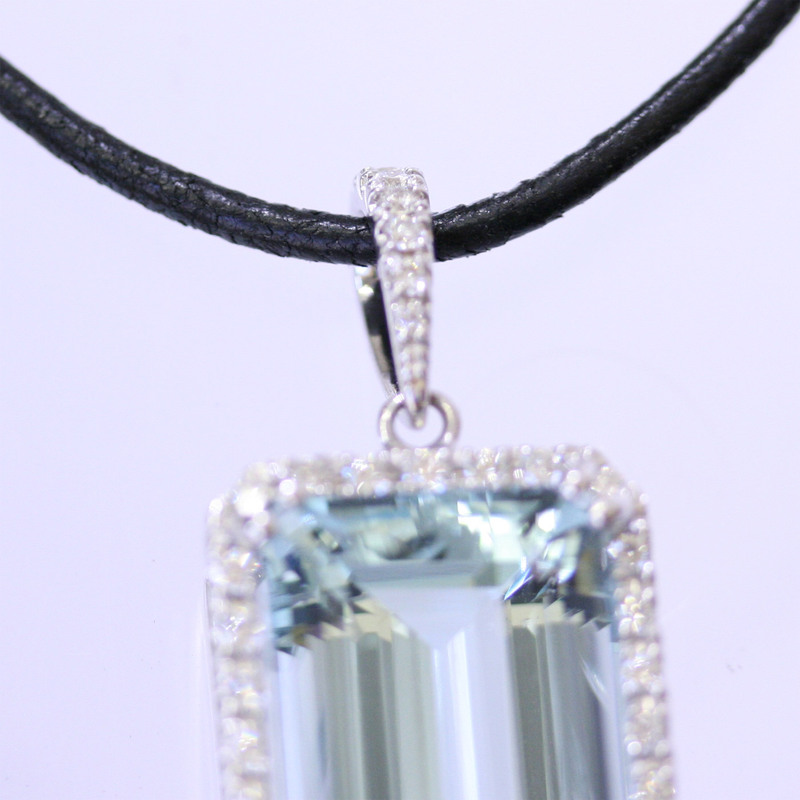 Set in 18ct white gold, this is a perfect piece of aquamarine jewellery.